With the extent, magnitude, and speed of the internet and all the information it provides, it’s sometimes easy to forget the way, just a generation ago and for hundreds of years, most of us read books and searched for information in libraries. Many of us don’t visit libraries like we used to but they’re still a vital meeting place for our communities. While the Library of Congress in Washington, DC, is the largest in the country, with more than 34 million volumes, more than 115,000 smaller libraries from coast to coast provide Americans with knowledge on a virtually endless array of topics. April 7 to 13 is National Library Week – a time to celebrate the contributions of libraries and those who work in them. This year’s honorary chair is Melinda Gates, whose Bill & Melinda Gates Foundation has invested more than $1 billion in 20 years to initiatives that enhance the power of libraries to improve lives. · Start a family book club with your spouse and children – choose a book by a new author or one of your favorites, read it together or apart, then discuss what you learned and loved about it. 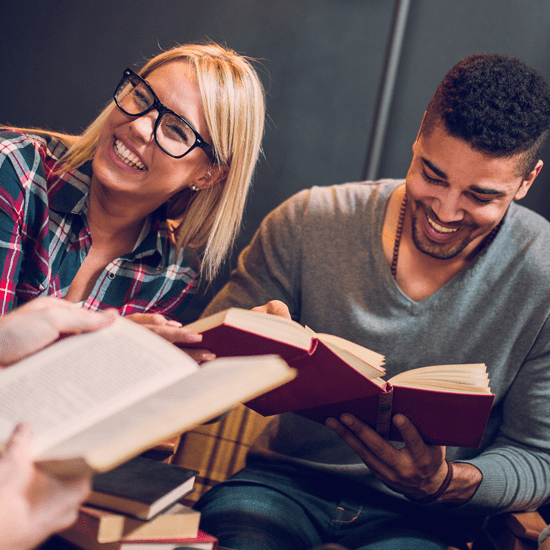 · Book club movie club – choose a book that’s been made into a movie, read the book, watch the movie, then compare the differences and similarities. · Write your own book. It’s been said we all have one good book in us. Try your hand at writing. If a book seems like too much of a commitment, write a short story or poetry or an opinion piece about a topic you’re passionate about. · Donate books you no longer want to your local library – if they accept them – or to a second-hand shop in the area. This won’t just spread knowledge but it’ll also support local business. Or set up your own little free library! · Volunteer your time to read to seniors or new Americans – it’s a great way to create bonds and exchange knowledge. What are some of the ways libraries and books inspire you? Share them with the Shop Talk blog forum now! A century ago, philanthropist Andrew Carnegie spent $55 million of his own money (the equivalent of $1.7 billion) to open more than 2,500 libraries across the country.